Hi, I am interested in your 2019 Riverside Retro listed on Autotrader. I'd like to get more information about this vehicle and confirm its availability. 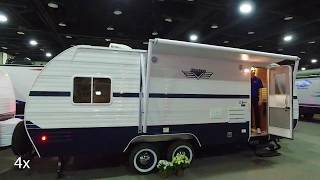 2019 RETRO 199FKS 50S STYLED TRAVEL TRAILER. COME SEE HOW MODERN THE PAST CAN BE IN OUR NEW SILVER EDITION. CALL 903-865-1600 FOR MORE INFORMATION.